Jiehae Park’s plays include peerless (Yale Rep premiere, Cherry Lane Mentor Project), Hannah and the Dread Gazebo (Oregon Shakespeare Festival premiere), Here We Are Here (Sundance Theater-Makers residency, Berkeley Rep’s Ground Floor, Princess Grace Works-in-Progress @ Baryshnikov Arts Center), and contributions to Wondrous Strange (Humana/Actor’s Theatre of Louisville). 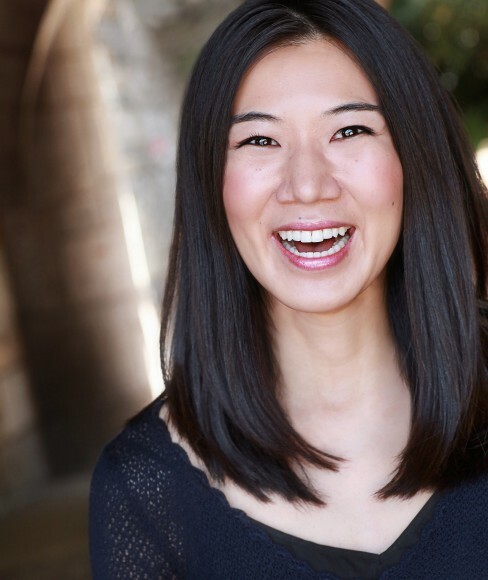 Her work has been developed through the Soho Rep Writer-Director Lab, the Public’s Emerging Writers Group, p73’s i73, Playwrights Horizons, NYTW, Atlantic, Old Globe, Dramatists Guild Fellowship, Ojai Conference, BAPF, Center Theatre Group Writers Workshop and the amazing Ma-Yi Writers Lab. Awards: Leah Ryan, Princess Grace, Weissberger, ANPF Women’s Invitational; two years on the Kilroys List. Commissions: Playwrights Horizons, McCarter, Yale Rep, Geffen, OSF, Williamstown, MTC/Sloan. Residencies: MacDowell, Yaddo, Hedgebrook, McCarter/Sallie B. Goodman. She is a NYTW Usual Suspect, LCT New Writer in Residence, former Hodder Fellow, and current member of New Dramatists. As a performer recently: Ripe Time/Naomi Iizuka’s adaptation of Haruki Murakami’s Sleep (BAM Next Wave, Yale Rep, Annenberg Arts Center). BA, Amherst; MFA, UCSD. Addt’l Readings/Workshops: Williamstown Theatre Festival (dir. Chay Yew), Playwrights Realm (dir. Tyne Rafaeli). Abingdon Theatre (dir. Nelson Eusebio), Torrance Cultural Arts Center (dir. Jen Chang), East West Players (dir. Jen Chang). Awards/Recognitions: Arnold L. Weissberger Award; Grand Prize, Ashland New Plays Festival Women’s Invitational (reading dir. Terri McMahon); Princess Grace Award (reading dir. Mia Rovegno); Leah Ryan Prize for Emerging Women Writers. (reading dir. Jose Zayas). Addt’l Readings/Workshops: Playwrights Horizons, (dir. Lila Neugebauer); Old Globe New Voices Festival (dir. Delicia Turner-Sonnenberg); Soho Rep Writer/Director Lab (dir. Lillian Meredith); Selection, 2015 Ojai Playwrights Conference (dir. Elliot Quick).